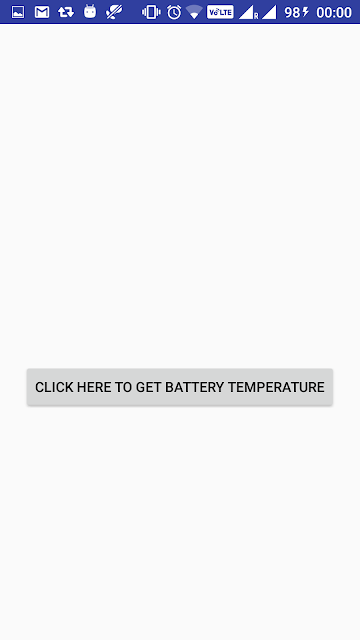 Lets say if battery temperature is too high, you may want to close some application. In this post, we are going to see how to get current battery temperature in android. Create an android application project named “GetBatteryTemperatureApp”. As we want to get battery level change information, we need to register broadcast receiver and intent filter. An intent filter is used to tell native battery app that this app is listening for changes in native battery app.